An auto insurance coverage is a requirement mandated in any state laws in the United States. If you live in Naperville, it is most likely that you are required to shop for an auto insurance quote Naperville to get your vehicle full coverage. This is to protect your interest and your family’s welfare when an accident happens either by your negligence or a third party is involved. Aside from protecting your investment, auto insurance has a wide scope in terms of coverage. Property Damage Coverage-This will defray all expenses when your automobile has damaged a house or building, fence and its improvements. Bodily Injury Coverage-No one in his sane mind wants to hit a person as expenses in hospitalization continue to soar. With auto insurance, your mind is free from negative thoughts because you know that your insurance can cover the medication of your victim. Collision Coverage-This will defray all costs in repair resulting from damage to your automobile after it was hit by another vehicle. Comprehensive Coverage –It pays all expenses for the repair after the damage incurred due to weather disturbance, man’s jealousy and animal attack. Drivers and car owners in Naperville should be aware of the importance of auto insurance in their lives. The thought of purchasing this type of insurance can sometimes block your mind when speaking of requirements and its monthly premium. But the truth is having an auto insurance quote Naperville does not ask you to present tons of documents and what you paid for it is compensated when your insurer pays all costs for repair or replacement of your car. To be able to understand the terms and conditions of getting auto insurance, why not contact us? 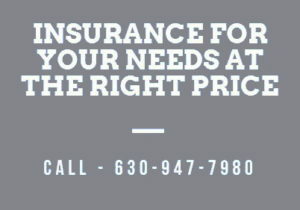 Get a free auto insurance quote in Naperville today!